Small Mining license over 396 Ha. 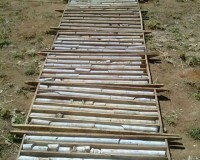 Approved for Copper and Gold Mining. Access is available. Indicated and Inferred resources. Reports are available.